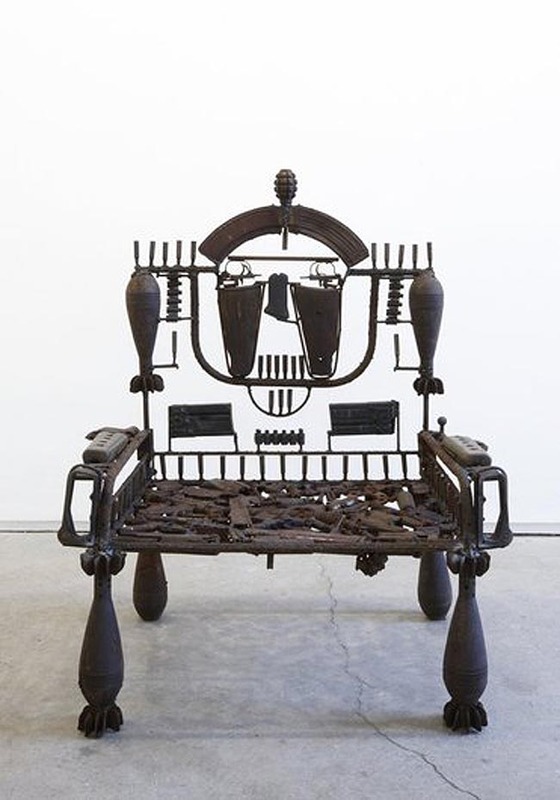 Mozambique-born artist Gonçalo Mabunda creates sculptures, furniture and masks using objects with strong political connotations. 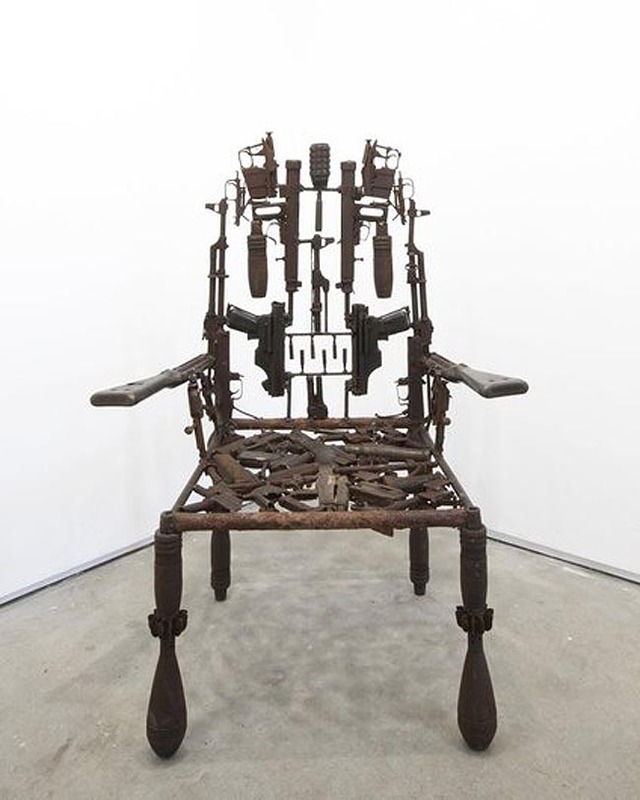 In his thrones, the artist works with deactivated arms recovered at the end of the 16-year civil war in his country in 1992. 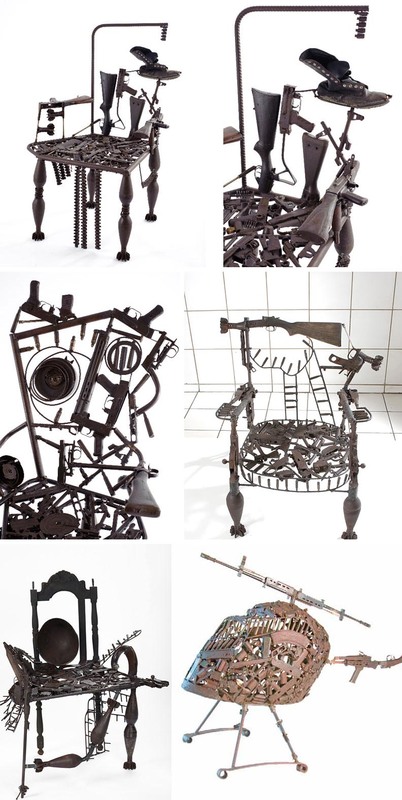 AK47s, pistols, rocket launchers and other objects of destruction are combined in his works both in protest to the violence as well as a positive reflection on the transformative power of art and the resilience of African society. Photos courtesy of Perimeter Art & Design and Jack Bell Gallery.